"The tendency to take what I lay down for one and apply it without discrimination to another is responsible for much misunderstanding. A general statement, too, true in itself, cannot be applied to everyone alike or applied now and immediately without consideration of condition or circumstance or person or time." "It is the lesson of life that always in this world everything fails a man - only the Divine does not fail him, if he turns entirely towards the Divine. It is not because there is something bad in you that blows fall on you - blows fall on all human beings because they are full of desire for things that cannot last and they lose them or, even if they get, it brings disappointment and cannot satisfy them. To turn to the Divine is the only truth in life." ...For these are aspects of the Divine Nature, powers of it, states of his being, - but the Divine Himself is something absolute, someone self-existent, not limited by his aspects, - wonderful and ineffable, not existing by them, but they exist because of Him. It follows that if he attracts by his aspects, all the more he can attract by his very absolute selfness which is sweeter, mightier, profounder than any aspect. His peace, rapture, light, freedom, beauty are marvellous and ineffable, because he is himself magically, mysteriously, transcendently marvellous and ineffable. He can then be sought after for his wonderful and ineffable self and not only for the sake of one aspect of another of his. The only thing needed for that is, first, to arrive at a point when the psychic being feels this pull of the Divine in himself and, secondly, to arrive at the point when the mind, vital and each thing else begins to feel too that that was what it was wanting and the surface hunt after Ananda or what else was only an excuse for drawing the nature towards that supreme magnet. ..."
The contribution of the psychic being to the sadhana is: (1) love and bhakti, a love and bhakti, a love not vital, demanding and egoistic but unconditioned and without claims, self-existent; (2) the contact or the presence of the Mother within; (3) the unerring guidance from within; (4) a quieting and purification of the mind, vital and physical consciousness by their subjection to the psychic influence and guidance; (5) the opening up of all this lower consciousness to the higher spiritual consciousness above for its descent into a nature prepared to receive it with a complete receptivity and right attitude - for the psychic brings in everything, right thought, right perception, right feeling, right attitude. "It is the Divine who is the Master - the Self is inactive, it is always a silence witness supporting all things - that is the static aspect. There is also the dynamic aspect through which the Divine works - behind that is the Mother. You must not lose sight of that, that it is through the Mother that all things are attained." "... The undivine, therefore, is all that is unwilling to accept the light and force of the Mother. That is why I am always telling you to keep yourself in contact with the Mother and with her Light and Force, because it is only so that you can come out of this confusion and obscurity and receive the Truth that comes from above." "Live always as if you were under the very eye of the Supreme and of the Divine Mother. Do nothing, try to think and feel nothing that would be unworthy of the Divine Presence." "All has to be done by the working of the Mother's force aided by your aspiration, devotion and surrender." "I will deliver thee from all sin and evil, do not grieve."" "The goal of yoga is always hard to reach, but this one is more difficult than any other, and it is only for those who have the call, the capacity, the willingness to face everything and every risk, even the risk of failure, and the will to progress towards an entire selflessness, desirelessness and surrender." "This yoga implies not only the realisation of God, but an entire consecration and change of the inner and outer life till it is fit to manifest a divine consciousness and become part of a divine work. This means an inner discipline far more exacting and difficult than mere ethical and physical austerities. One must not enter on this path, far vaster and more arduous than most ways of yoga, unless one is sure of the psychic call and of one's readiness to go through to the end." "By readiness, I did not mean capacity but willingness. If there is the will within to face all difficulties and go through, no matter how long it takes, then the path can be taken." "The sadhana of this yoga does not proceed through any set mental teaching or prescribed forms of meditation, Mantras or others, but by aspiration, by a self-concentration inwards or upwards, by self-opening to an Influence, to the Divine Power above us and its workings, to the Divine Presence in the heart and by the rejection of all that is foreign to these things. It is only by faith, aspiration and surrender that this self-opening can come." "Surrender means to consecrate everything in oneself to the Divine, to offer all one is and has, not to insist on one's ideas, desires, habits, etc., but to allow the divine Truth to replace them by its knowledge, will and action everywhere." "In the early part of the sadhana - and by early I do not mean a short part - effort is indispensable. Surrender of course, but surrender is not a thing that is done in a day. The mind has its ideas and it clings to them; the human vital resists surrender, for what it calls surrender in the early stages is a doubtful kind of self-giving with a demand in it; the physical consciousness is like a stone and what it calls surrender is often no more then inertia. It is only the psychic that knows how to surrender and the psychic is usually very much veiled in the beginning. When the psychic awakens, it can bring a sudden and true surrender of the whole being, for the difficulty of the rest is rapidly dealt with and disappears. But till then effort is indispensable. Or else it is necessary till the Force comes flooding down into the being from above and takes up the sadhana, does it for one more and more and leaves less and less to individual effort - but even then, it not effort, at least aspiration and vigilance are needed till the possession of mind, will, life and body by the Divine Power is complete." "There is only one way if you cannot exert your will - it is to call the Force; even the call only with the mind or the mental word is better than being extremely passive and submitted to the attack, - for although it may not succeed instantaneously, the mental call even ends by bringing the Force and opening up the consciousness again. For everything depends upon that. In the externalised consciousness obscurity and suffering can always be there; the more the internalised consciousness reigns, the more these things are pushed back and out, and with the full internalised consciousness they cannot remain - if they come, it is as outside touches unable to lodge themselves in the being." "Remind yourself always that the Divine Force is there, that you have felt it and that, even if you seem to lose consciousness of it for a time or it seems something distant, still it is there and is sure to prevail For those whom the Force has touched and taken up, belong thenceforth to the Divine." "Aspiration is a call to the Divine, - will is the pressure of the conscious force on Nature." "Naturally, the more one-pointed the aspiration the swifter the progress. The difficulty comes when either the vital with its desires or the physical with its past habitual movements comes in - as they do with almost everyone. It is then that the dryness and difficulty of spontaneous aspiration come. This dryness is a well-known obstacle in all sadhana. But one has to persist and not be discouraged. If one keeps the will fixed even in these barren periods, they pass and after their passage a greater force of aspiration and experience becomes possible." "One must say, "Since I want only the Divine, my success is sure, I have only to walk forward in all confidence and His own Hand will be there secretly leading me to Him by His own way and at His own time." That is what you must keep as your constant mantra. Anything else one must keep as your constant mantra. Anything else one may doubt but that he who desires only the Divine shall reach the Divine is a certitude and more certain than two and two make four. That is the faith every sadhak must have at the bottom of his heart, supporting him through every stumble and blow and ordeal. It is only false ideas still casting their shadows on your mind that prevent you from having it. Push them aside and the back of the difficulty will be broken. "The power needed in yoga is the power to go through effort, difficulty or trouble without getting fatigued, depressed, discouraged or impatient and without breaking off the effort or giving up one's aim or resolution. "Sincerity means more then honesty. It means that you mean what you say, feel what you profess, are earnest in your will. As the sadhak aspires to be an instrument of the Divine and one with the Divine, sincerity in him means that he is really in earnest in his aspiration and refuses all other will or impulse except the Divine's." "Not to be disturbed by either joy or grief, pleasure or displeasure by what people say or do or by any outward things is called in yoga a state of samata, equality to all things. It is of immense importance in sadhana to be able to reach this state. It helps the mental quietude and silence as well as the vital to come. It means indeed that the vital itself and the vital mind are already falling silent and becoming quiet. The thinking mind is sure to follow." "To be free from all preference and receive joyfully whatever comes from the Divine Will is not possible at first for any human being. What one should have at first is the constant idea that what the Divine wills is always for the best when the mind does not see how it is so, to accept with resignation what one cannot yet accept with gladness and so to arrive at a calm equality which is not shaken even when on the surface there may be passing movements of a momentary reaction to outward happenings, If that is once firmly founded, the rest can come." . . .to quiet the mind and get the spiritual experience it is necessary first to purify and prepare the nature. This sometimes takes many years. Work done with the right attitude is the easiest means for that - i.e. work done without desire or ego, rejecting all movements of desire, demand or ego when they come, done as an offering to the Divine Mother, with the remembrance of her and prayer to her to manifest her force and take up the action so that there too and not only in inner silence you can feel her presence and working. "It is not at first easy to remember the presence in work; but if one revives the sense of the presence immediately after the work is over it is all right. In time the sense of the presence will become automatic even in work." (i) Quietude, equality - not to be disturbed by anything that happens, to keep the mind still and firm, seeing the play of forces, but itself tranquil. (ii) Absolute faith - faith that what is for the best will happen, but also that if one can make oneself a true instrument, the fruit will be that which one's will guided by the Divine Light sees as the thing to be done - kartavyam karma. (iii) Receptivity - the power to receive the Divine Force and to feel its presence and the presence of the Mother in it and allow it to work, guiding one's sight and will and action. If this power and presence can be felt and this plasticity made the habit of the consciousness in action, - but plasticity to the Divine force alone without bringing in any foreign element, - the eventual result is sure. 2. What should be the object or ideas for meditation? 3. Conditions internal and external that are most essential for meditation. There are no essential external conditions, but solitude and selection at the time of meditation as well as stillness of the body are helpful, sometimes almost necessary to the beginning. But one should not be bound by external conditions. Once the habit of meditation is formed, it should be made possible to do it in all circumstances, lying, sitting, walking, alone, in company, in silence or in the midst of noise etc. The first internal condition necessary is concentration of the will against the obstacles to meditation, i.e. wandering of the mind, forgetfulness, sleep, physical and nervous impatience and restlessness etc. If the difficulty in meditation is that thoughts of all kinds come in, that is not due to hostile forces but to the ordinary nature of the human mind. All sadhaks have this difficulty and with many it lasts for a very long time. There are several was of getting rid of it. One of them is to look at the thoughts and observe what is the nature of the human mind as they show it but not to give any sanction and to let them run down till they come to a standstill - this is a way recommended by Vivekananda in his Rajayoga. Another is to look at the thoughts as not one's own, to stand back as the witness Purusha and refuse the sanction - the thoughts are regarded as things coming from outside, from Prakriti, and they must be felt as if they were passers-by crossing the mind-space with whom one has no connection and in whom one takes no interest. In this way it usually happens that after the time the mind divides into two, a part which is the mental witness watching and perfectly undisturbed and quiet and a part in which the thoughts cross or wander. Afterwards one can proceed to silence or quiet the Prakriti part also. There is a third, an active method by which one looks to see where the thoughts come from and finds they come not from oneself, but from outside the head as it were; if one can detect them coming, then, before enter, they have to be thrown away altogether. This is perhaps the most difficult way and not all can do it, but if it can be done it is the shortest and most powerful road to silence. It is not easy to get into the Silence. That is only possible by throwing out all mental-vital activities. It is easier to let the Silence descend into you, i.e., to open yourself and let it descend. The way to do this and the way to call down the higher powers is the same. It is to remain quiet at the time of efforts to pull down the Power or the Silence but keeping only a silent will and aspiration for them. If the mind is active one has to learn to look at it, drawn back and not giving sanction from within, until its habitual or mechanical activities begin to fall quiet for want of support from within. if it is too persistent, a steady rejection without strain or struggle is the one thing to be done. Concentration is gathering together of the consciousness and either centralising at one point or turning on a single object, e.g., the Divine; there can be also be a gathered condition throughout the whole being, not at a point. In meditation it is not indispensable to gather like this, one can simply remain with a quiet mind thinking of one subject or observing what comes in the consciousness and dealing with it. ...Of this true consciousness other than the superficial there are two main centres, one in the heart (not the physical heart, but the cardiac centre in the middle of the chest), one in the head. The concentration in the heart opens within and by following this inward opening and going deep one becomes aware of the soul or psychic being, the divine element in the individual. This being unveiled begins to come forward, to govern the nature, to turn it and all its movements towards the Truth, towards the Divine, and to call down into it all that is above. It brings the consciousness of the Presence, the dedication of the being to the Highest and invites the descent into our nature of a greater Force and Consciousness which is waiting above us. To concentrate in the heart centre with the offering of oneself to the Divine and the aspiration for this inward opening and for the Presence in the heart is the first way and, if it can be done, the natural beginning; for its result once obtained makes the spiritual path far more easy and safe than if one begins the other ways. That other way is the concentration in the head, in the mental centre. This, if it brings about the silence of the surface mind, opens up an inner, larger, deeper mind within which is more capable of receiving spiritual experience and spiritual knowledge. But once concentrated here one must open the silent mental consciousness upward and in the end it rises beyond the lid which has so long kept it tied in the body and finds a centre above the head where it is liberated into the Infinite. There it begins to come into contact with the universal Self, the Divine Peace, Light, Power, Knowledge, Bliss, to enter into that and become that, to feel the descent of these things into the nature. To concentrate in the head with the aspiration for quietude in the mind and the realisation of the Self and Divine above is the second way of concentration. It is important, however, to remember that the concentration of the consciousness in the head in only a preparation for its rising to the centre above; otherwise, one may get shut up in one's own mind and its experiences or at best attain only to a reflection of the Truth above instead of rising into the spiritual transcendence to live there. For some the mental concentration is easier, for some the concentration in the heart centre; some are capable of doing both alternatively - but to begin with the heart centre, if one can do it, is the most desirable. At the top of the head or above it is the right place for yogic concentration in reading or thinking. It is quite natural to want to meditate after reading yogic literature - that is not the laziness. The laziness of the mind consists in not meditating, when the consciousness wants to do so. It is certainly much better to remain silent and collected for a time after the meditation. It is a mistake to take the meditation lightly - by doing that one fails to receive or spills what is received or most of it. The soul, the psychic being is in direct touch with the divine Truth, but it is hidden in man by the mind, the vital being and the physical nature. One may practise yoga and get illuminations in the mind and the reason; one may conquer power and luxuriate in all kinds of experiences in the vital; one may establish even surprising physical Siddhis; but if the true soul-power behind does not manifest, if the psychic nature does not come into the front, nothing genuine has been done. In this yoga the psychic being is that which opens the rest of the nature to the true supramental light and finally to the supreme Ananda. Mind can open by itself to its own higher reaches; it can still itself in some kind of static liberation or Nirvana; but the supramental cannot find a sufficient base in a spiritualised mind alone. 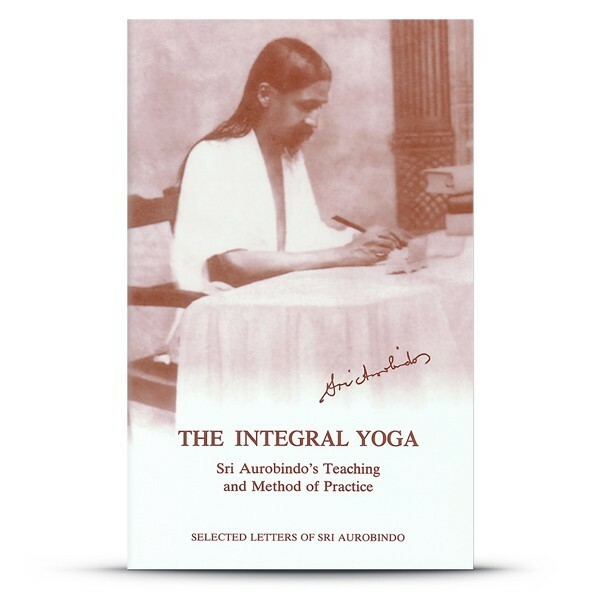 If the inmost soul is awakened, if there is a new birth out of the mere mental, vital and physical into the psychic consciousness, then this yoga can be done; otherwise (by the sole power of the mind or any other part) it is impossible.... If there is a refusal of the psychic new birth, a refusal to become the child new born from the Mother, owing to attachment to intellectual knowledge or mental ideas or to some vital desire, then there will be a failure in the sadhana. The realisation of the psychic being, its awakening and the bringing of it in front depend mainly on the extent to which one can develop a personal relation with the Divine, a relation of Bhakti, love, reliance, self-giving, rejection of the insistences of the separating and self-asserting mental, vital and physical ego. For the opening of the psychic being, concentration on the Mother and self-offering to her are the direct way. The growth of Bhakti which you feel is the first sign of the psychic development. A sense of the Mother's presence or force or the remembrance of her supporting and strengthening you is the next sign. Eventually, the soul within begins to be active in aspiration and psychic perception guiding the mind to the right thoughts, the vital to the right movements and feelings, showing and rejecting all that has to be put away and turning the whole being in all its movements to the Divine alone. Aspiration, constant and sincere, and the will to turn to the Divine alone are the best means to bring forward the psychic. The spiritual change is the established descent of the peace, light, knowledge, power, bliss from above, the awareness of the Self and the Divine and of a higher cosmic consciousness and the change of the whole consciousness to that. When the Peace is established, this higher or Divine Force from above can descend and work in us. It descends usually first into the head and liberates the inner mind mind centres, then into the heart centre and liberates fully the psychic and emotional being, then into the navel and other vital centres and liberates the inner vital, then into the Muladhara and below and liberates the inner vital, then into the navel and other vital centres and liberates the inner physical being. It works at the same time for perfection as well as liberation; it takes up the whole nature part by part and deals with it, rejecting what has to be rejected, sublimating what has to be sublimated, creating what has to be created. It integrates, harmonises, establishes a new rhythm in the nature. It can bring down too a higher and yet higher force and range of the higher nature until, if that be the aim of the sadhana, it becomes possible to bring down the supramental force and existence. All this is prepared, assistance, farthered by the work of the psychic being in the heart centre; the more it is open, in front, active, the quicker, safer, easier the working of the Force can be. The more love and bhakti and surrender grow in the heart, the more rapid and perfect becomes the evolution of the sadhana. For the descent and transformation imply at the same time an increasing contact and union with the Divine. ... The first opening is effected by a concentration in heart, a call to the Divine to manifest within us and through the psychic to take up and lead the whole nature. Aspiration, prayer, bhakti, love, surrender are the main supports of this part of the sadhana - accompanied by a rejection of all that stands in the way of what we aspire for. The second opening is effected by a concentration of the consciousness in the head (afterwards, above it) and an aspiration and call and a sustained will for the descent of the divine Peace, Power, Light, Knowledge, Ananda first or some sudden pouring down of knowledge. With some there is first into the head, then down to the heart level, then to the navel and below and through the whole body, or else an inexplicable opening - without any sense of descent - of peace, light, wideness or power, or else a horizontal opening into the cosmic consciousness or in a suddenly widened mind an outburst of knowledge. Whatever comes has to be welcomed - for there is no absolute rule for all - but if the peace has not come first, care must be taken not to swell oneself in exultation or lose the balance. The capital movement however is when the Divine Force or Shakti, the power of the Mother comes down and takes hold, for then the organisation of the consciousness begins and the larger foundation of the yoga. The result of the concentration is not usually immediate - though to some there comes a swift and sudden outflowering; but with most there is a time longer or shorter of adaption or preparation, especially if the nature if the nature has not been prepared already to some extent by aspiration and Tapasya. "...There is, moreover, the resistance of the Universal Nature which does not want the being to escape from the Ignorance to the Light. This may take the form of a vehement insistence in the continuation of the old movements, waves of them thrown on the mind and vital and body so that old ideas, impulses, desires, feelings, responses continue even after they are thrown out and rejected, and can return like an invading army from outside, until the whole nature, given to the Divine, refuses to admit them. This is the subjective form of the universal resistance, but it may also take an objective form, - opposition, calumny, attacks, persecution, misfortunes of many kinds, adverse conditions and circumstances, pain, illness, assaults from men or forces. There too the possibility of suffering is evident. There are two ways to meet all that - first that of the Self, calm, equality, a spirit, will, a mind, a vital, a physical consciousness that remain resolutely turned towards the Divine and unshaken by all suggestion of doubt, desire, attachment, depression, sorrow, pain, inertia. ... There is also the way of the psychic, - when the psychic being comes out in its inherent power, its consecration, adoration, love of the Divine, self-giving, surrender and imposes these on the mind, vital and physical consciousness and compels them to turn all their movements Godward. If the psychic is strong and master throughout, then there is no or little subjective suffering and the objective cannot affect either the soul or the other parts of the consciousness - the way is sunlit and a great joy and sweetness are the note of the whole sadhana." Never allow this idea "I am not able", "I am not doing enough" to come and vex you; it is a tamasic suggestion and brings depression and depression opens the way to the attacks of the wrong forces. Your position should be, "Let me do what I can; the Mother's force is there, the Divine is there to see that in due time all will be done." But do not always be thinking of your defects and wrong movements. Concentrate more upon what you are to be, on the ideal, with the faith that, since it is the goal before you, it must and will come.